I a while back wrote an article asking if we are in the middle of a soft coup, but looking at what is going on now with Mueller, the left, the press, GOP establishment I think we are past that, we are in a full-fledged attempt at a Coup D’etat, it is time we come to recognize it and ask ourselves, are we willing to stand by and watch our constitutional republic fall? Are we going to do nothing while these enemies of the state uproot our constitution, our very government for their vendetta? I know, some may say this is extreme, but I think not, and there is good reason for this, what we have seen in the last 2 years, and this did start the day after Clinton lost the election, the deep state actors with the establishment got togather and set up distractions with the ultimate goal of unseating an elected official because he was a threat to their power behind the scenes, they now have an unelected official, not in charge persecuting a crime, collecting evidence, instead collecting evidence to find a crime and put togather a file for impeachment findings, something that has never been done in the history of this republic and is a direct threat to constitutional rule. When Rome was the power of the world, they had a senate that worked to run things, over time the people and the powers to be found the desire to have a strong ruler was good enough to overthrow the system that was in place, what followed was tyranical rulers that set people on fire to light their path, others were thrown off of clifts to uplift the spirit of the emperor, and we are headed down that path, make no mistake, what is going on now is a greater threat to this republic then any military threat we have ever faced since the revelutionary war. We have seen open collusion between the press and leaders of Congress, the press doing this are not people with a differing opinion, they are an enemy of our republic, it is time we start calling them what they are. They are dressed up nicely, present their talking points in a way that is meant to distract from what is going on, but they are no less an enemy of this nation then enemies we have faced in the past that have tried unsuccessfully to destroy us. Much of the press today, ABC, CBS, MSNBC, CNN and New York Times are no longer the news, they are the propaganda outlets for these enemies of the state, thus making them enemies of the state themselves. We have deep state actors within the government hiding in the shadows, nothing is being done, but they too in their blind hatred of Trump are willing to put this republic at risk just to achieve what they think is their right to do, unseat a elected official, these people are all enemies of the state, it is time we call them what they are, they are not misguided, they sure aren’t rejected, they are willing to put at risk the very fabric of our society, see this nation fall to achieve their goals, this is the definition of an eternal enemy, it is time we call them what they are, enemies of the state. We have the special prosecutors office, Mueller, and his cronies, they have set up an investigation, not of a crime that is committed, rather a fishing expedition of a crime that they know nothing of but are willing to root out at all cost, even to the point of unraveling this constitution and the laws they once swore an oath to uphold, now we see this is of little concern to them, it is time to call Meuller and his team what they are, enemies of the state. What is more, the constitution states that the president may not be charged with a crime by outside sources while sitting as president, this was further explained in the findings with the special investigation into Watergate and the Clinton impeachment proceedings, but this is all ignored by Mueller and the ones behind him, he has threatened a sitting president with being compelled to testify, something he has no legal right to do. This disregard for Constitutional Law shows Mueller as exactly what he is, one of the enemies of the state. I know this may cause problems, I don’t care, I am tired of sitting on my hands and watching while these people ignore the rule of law, kick in doors violating attorney-client privilege, attacking anyone that in any way is associated with Trump, making what they see a case to show everyone if you join in with Trump we will punish you, destroy your life, and when we are done we will leave you jobless, broken and bankrupt, this needs to stop, this is not a prosecution of wrong doing, this is a mockery of it, everyone involved with this needs to be labelled as enemies of the state. And our Congress, from Ryan to our Senate leadership in the GOP, I am ashamed I voted for any of them, they are not leaders, they are gutless, castrated men and women who are concerned more about their power then this nation. This is the same group of people, with the power vested in them as Congressmen did nothing while the Obama administration spied on our citizens, spied on our allies, used the IRS to target their opposition, asked for material, when the Obama administration destroyed, bleached hard drives, destroyed evidence, they sat and wrung their hands, crying over the lack of respect for them. I must ask, “Where are their balls?” They have the authority to arrest, to subpoena, to impeach if you are not going to do as they demand. They have the right to cut off funding if you are not going to be accountable, they, after all, control the purse, but no one has the guts to stand up and do what is right. 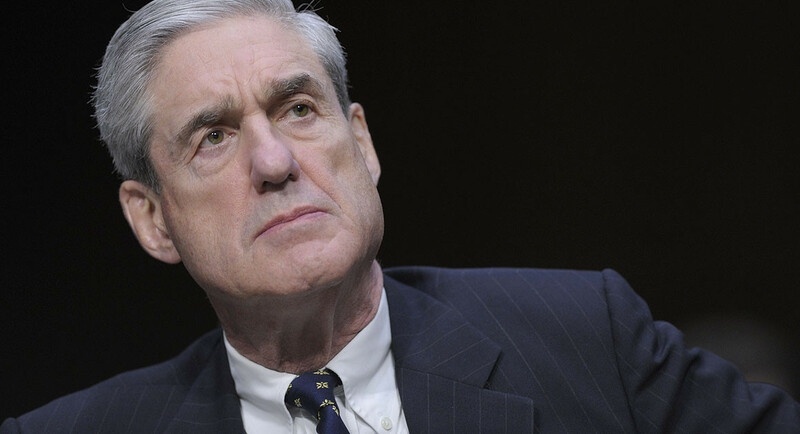 And why is it they have not called Mueller up to answer to them, they have the authority to demand this, but they are more intent on protecting him them reigning him in and making sure he is acting within his constitutional right, and this is a body full of ex-judges, prosecutors, and attorneys. And where is the question of why Mueller is trying to charge for crimes outside his jurisdiction, he was given no authority to charge with any crimes outside his mandate, it was sad that it took a Judge to point this out. We have gutless fickle leaders who if not enemies of the state and make no mistake, leaders like McCain, Flake and others; they started off well, they fall into this classification now, the rest of the GOP congressional leadership is either grossly inept or too cowardly to do anything. The DNC are the ones behind much of this, along with Clinton, Obama and others, these are the real enemies of the state, they at this point can be classified as nothing less, they are willing to uproot our constitution to get what they see as their revenge, to take it out in such a way that no one else that is not a state player will try to run for office again, this must be exposed and stopped at all cost, either we vote in people that will do this, while voting out the ones that won’t, or say goodbye to the nation you knew and loved. I made an oath to this nation long ago, I made it to not to the Commander and Chief as the one I was protecting, no it was the Constitution, no one told me when I left the military that this pledge was dead. Now I see people in power that are intent on destroying the constitution and this constitutional republic in the name of their personal vendetta, it is time we start becoming vocal to put an end to this or next we will be faced with one of two choices, either submit to a nation that is no longer what we knew, where the constitution is not worth the paper it is written on, or to take up arms and overthrow these enemies of the state doing this.